The State Council, China's cabinet, has unveiled a plan to implement audits on policy-supported grain storages to ensure the security of grain reserves. Pilot programs will be carried out in 10 provinces later this year, according to a circular released by the General Office of the State Council. 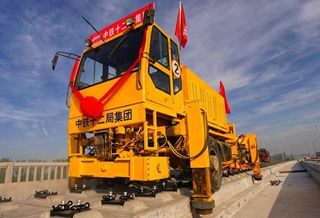 Provinces of Anhui, Fujian, Jiangxi, Henan, Hubei, Hunan, Guangdong, Guizhou, Shaanxi and Gansu will each have two municipal-level regions for test runs. The census will thoroughly assess the quantity and quality of the country's grain reserves, which entail self-checks by the enterprises and local authorities before central government agencies randomly review reports from key areas and firms. Any violation of laws and regulations will be dealt with seriously, and local authorities shall strictly supervise faulted enterprises to make amends, the circular read.